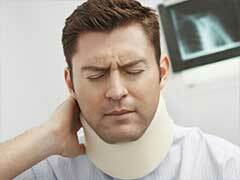 An injury or accident suffered abroad is stressful as well as painful. Injuries are further complicated when sustained in a foreign country with different standards of care and languages you do not understand. Serious injuries will often require ongoing care after you return home, which can affect your ability to work and enjoy life. Injuries can also cost significant amounts in mental strain and money, especially when you require ongoing medical care and rehabilitation. While travelling abroad on vacation or for work, there are plenty of ways for you to sustain an injury due to an accident or negligence. You might injure yourself during an excursion or activity that you booked yourself or that was offered through a tour operator as part of a packaged holiday. Accidents may arise due to faulty equipment or negligent tour guides and activity instructors. 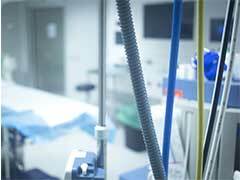 An injury might also be a result of negligence at a hotel where precautions were not taken to ensure the safety of guests. For example, walkways may be trip hazards or food served at hotel restaurants may result in food poisoning and more serious health issues. If you were working overseas, you might have suffered injuries from an accident that was the fault of your employer. Regardless of the type of accident or injury, you may be able to submit a claim for compensation for an injury that was sustained during your holiday due to no fault of your own. This includes accidents that happened during a package holiday. To be eligible for compensation, the accident must be the fault of a tour operator or travel agent or one of their representatives (for example, hotel staff, excursion operators, transport providers). We also help you settle claims for compensation for damages related to travelling by air, sea, rail or road during your travels abroad when another party is to blame. If you have an accident overseas that was not your fault, our solicitors have the experience you need to negotiate a settlement on a personal injury compensation claim. Using information provided by you, we will carefully review your case and the circumstances of the injury and accident. If you suffer an accident, make sure that you gather as much evidence as possible. For example, take photographs if a damaged walkway at a hotel caused you to fall and injure yourself. You should also keep medical records and details on any individual or organisation that was involved in the accident including names and contact information. With our expert knowledge in compensation claims for accidents abroad, we will use this information to determine whether you are eligible to make a claim. We work hard to negotiate a settlement that considers all damages you have suffered, including lost wages and medical expenses. Our personal injury solicitors specialise in overseas accidents, and no case is too complex for us to handle. We work closely with you to discuss all your options and walk you through the process of making a claim. WINWales is also dedicated to offering you frank advice, and we always act with integrity and honesty. We also offer a no win, no fee promise.